Today, four remarkable women will land at Heathrow Airport. 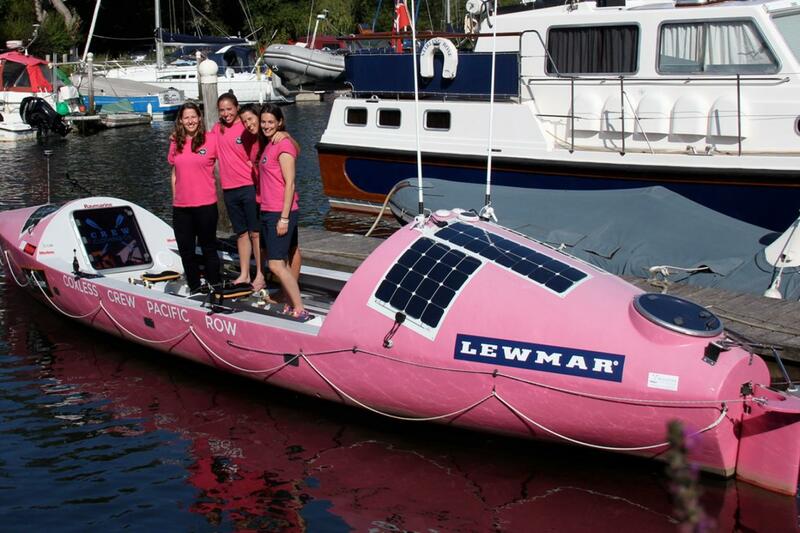 The Coxless Crew are a group of six women who have rowed a boat called Doris 9600 miles from San Francisco to Cairns. Laura Penhaul, Natalia Cohen and Emma Mitchell rowed the whole distance and 3 others rowed different legs. They have received a fair amount of coverage in the British press and have been described by the Guardian as a "British female rowing crew". "Our team worked well because we are all different and we lived by our team values; Strength, Perseverance, Integrity, Resilience, Inspiration and Trust. We supported each other, encouraged and listened. " "In my line of work I have also become intensely aware how privileged most of us are to have a fully functioning body. The charities we are raising money for will be in support of all the ladies whose lives changed overnight, and hopefully will act as a springboard to allow them to gain their independence again." Any one who has had the diagnosis of breast cancer will be able to relate with what she is saying. Well done to all the crew but especially to Lizanne who puts Cape Town on the map! All those who are from Physiotherapy North Ryde fully encourage he steps taken by the crew to save the women from the most notorious problem and disease our females are suffering from now a days. I ma sure that she would have gained that much funds to save some lives for the better future of the kids of those women.